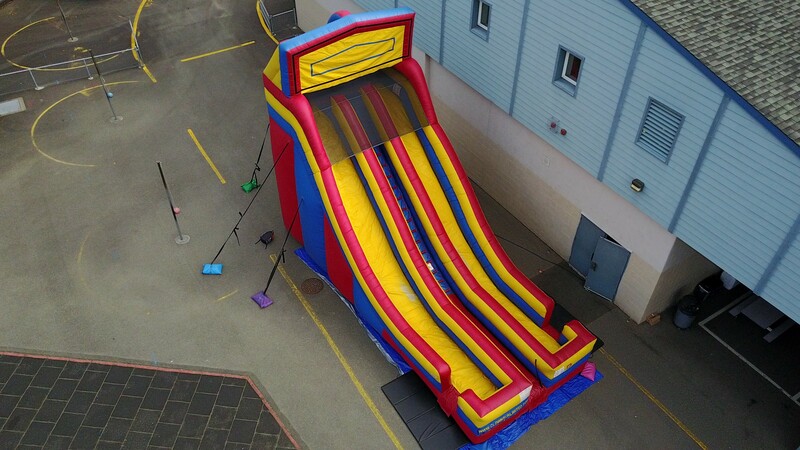 The 24ft modular slide is an awesome addition to any event. It can come un-themed, or it can sport a number of different themed banner options. We offer: Pirate, Sports, Western, Circus, Tropical Paradise, Girl Explorer, Blue Dog, SpongeBob SquarePants, Fairy Tale Castle, Noahs Ark, and Race Cars. This inflatable slide is perfect for a school carnival, corporate event, or company picnic!